Potholes and rough roads take a big toll on vehicles. Especially the steering and suspension components. Hitting curbs, railroad tracks, or speed bumps can all cause damage. 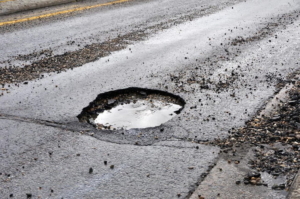 Potholes form when moisture seeps through small holes and cracks in the road surface. As temperatures rise and fall, the moisture expands and contracts due to thawing and freezing. This breaks up the pavement and, combined with the weight of passing cars, eventually chunks out, creating in a pothole. Make sure to check the battery in your vehicle. When the temperatures drop, you will want your vehicle to be safe and reliable when you drive it. 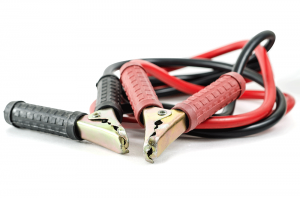 Part of this includes making sure that the battery for your vehicle works. No matter if you are on your way to work, school, or driving for fun, having your vehicle start is important. 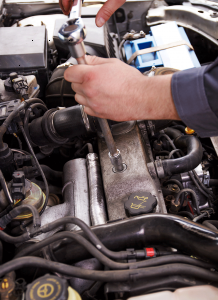 Make sure to bring your vehicle in for regular maintenance inspections. By doing so, you can help ensure it is able to last as long as possible. 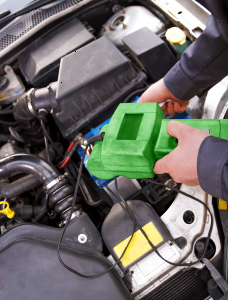 The check engine light is part of a built in computerized system, so you should not ignore it. It is important to not confuse the check engine soon light with the service engine light because they have different meanings than the check engine light. 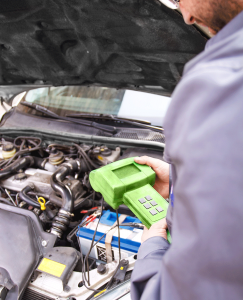 The maintenance is required when a service engine soon light illuminates at a given mileage to let you know that a vehicle service is needed. The lights play an important part for your vehicle. This is what helps you to see when you are driving. If the lights are poor, you increase your chance for an accident. This is because you will not notice where or what might be in the road ahead. By inspecting the lights regularly, you can determine what is ahead of you. If you notice that the lights are dim or no longer aligned properly, make sure to bring the vehicle in so we can inspect it properly. Owning a vehicle can be a big investment. It then makes sense for the vehicle to be taken care of properly. The best way to do this is bring the vehicle in for regular maintenances. 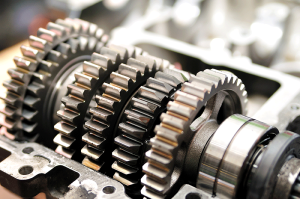 We can check the parts and components of the vehicle to ensure they are working the best that they can. 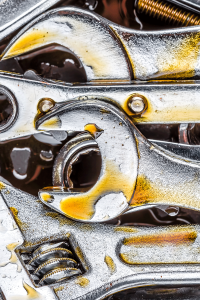 Making sure the parts are operating and wearing, as they should, will help you prolong the life of your vehicle, as well as working at top performance levels. One of the most important parts on your vehicle is your brake system. 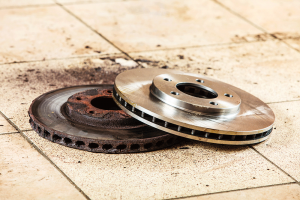 There are several signs you might notice if the brakes are starting to go out in your vehicle. The brakes my start to make odd noises or produce vibrations when the brake pedal is applied. 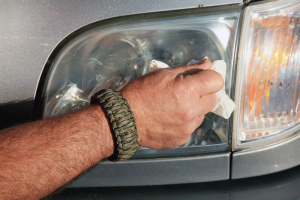 If you notice anything out of the norm, make sure to bring your vehicle in as soon as possible. This way the issue can be looked at and repaired before it gets worse.